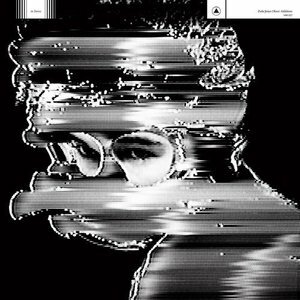 Okovi: Additions rounds up material as a companion to Zola Jesus' brilliant 2017 album proving just how fruitful the Okovi sessions were. Zola Jesus' Okovi, released late last year, was a wildly successful maelstrom of emotion borne of personal trauma and a forced scenery change. By somehow co-existing in the worlds of catchy pop music and pitch-black gothic wailing, Okovi found a way to approach pain and loss that was both highly confrontational and immensely approachable. Think Diamanda Galas by way of Cyndi Lauper, and you'll be on the right track. As it turns out, there were a few tracks from the sessions for Okovi that were worthy of release but didn't quite fit in with the onslaught of Okovi. Happily, these tracks are now seeing the light of day thanks to Okovi: Additions, an EP whose very title has no aspirations beyond that of being a companion to the album proper, but whose content manages to demonstrate just how fruitful the Okovi sessions really were. Four new tracks begin Okovi: Additions, and beg the most intense scrutiny as they are undoubtedly the selling point of the EP. The running theme for these tracks is a sense of being just a bit lightweight, which may be why they never quite made it onto Okovi itself. "Vacant" kicks things off with a slow-burning dirge that's remarkably appealing in its melodies, Nika Danilova's powerful and pitch-perfect voice offering a hymn of acceptance. "Bound" is a little more interesting, a bendy synth line tracking its way through skittery dance beats. "Pilot Light" and "Bitten Wool" are both quiet, beatless compositions, depressing and inert, made interesting only by Danilova's consistently brilliant vocals. "Pilot Light" has pianos, "Bitten Wool" some sort of bell-like instrument, but neither can muster much in the way of progression or catharsis. It's possible, though, that the latter two tracks might not seem quite so disappointing if they weren't stuck up against the remixes, reworkings of Okovi tracks that highlight just how dynamic some of those songs were. The "Ash to Bone" remix from Johnny Jewel turns the song into a 1980s power ballad (complete with vintage Casio-esque synth sounds) it was always meant to be. While the new production is noteworthy, though, Johnny Jewel doesn't forget to highlight the versatility of Danilova's voice, making sure her low register, her default belting voice, and even some beautiful, ethereal head-voice "ooooh"s, get mixed in seamlessly. It's a lovely take on what was already a wonderful song. Mostly, that's the rule for these remixes. They are all recognizable, though only "Ash to Bone" and Joanne Pollock's quietly epic take on "Soak" continue to feel like Zola Jesus songs. Remixes of "Siphon" and "Exhumed" take a different tack, their source material mined for sounds to loop and build walls out of. "Siphon" works, as Katie Gately brings a light touch, carefully placing vocal loops and sounds on top of each other one at a time, creating a house of cards that threatens to fall at any moment but never quite does. "Exhumed", unfortunately, is not quite as successful; while it's a natural candidate for a noisy treatment, the original was too good, too affecting, too soaring to sound acceptable when transformed into what is basically the outro to a 1990s-era Nine Inch Nails song. Still, as an odds 'n' sods compilation, Okovi: Additions is remarkably strong. There's enough fantastic material here to sate the appetite of those wanting more from Zola Jesus post-Okovi, and while nobody will confuse it for a proper album, nobody will question its reason for existence, either.